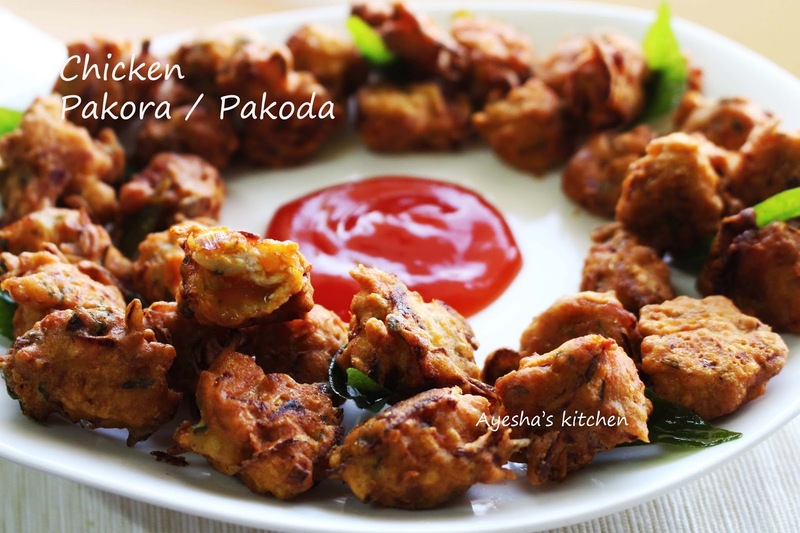 Pakoda / pakora is a very popular and common Indian snack. Spicy crispy snacks are part and parcel of Indian cuisine. Most common pakora / pakoda varieties are palak pakora, onion pakoda, paneer pakoda, aloo pakora and like so. Chicken pakoda / pakora is a wonderful crispy fritters made using chicken chunks and gram flour. 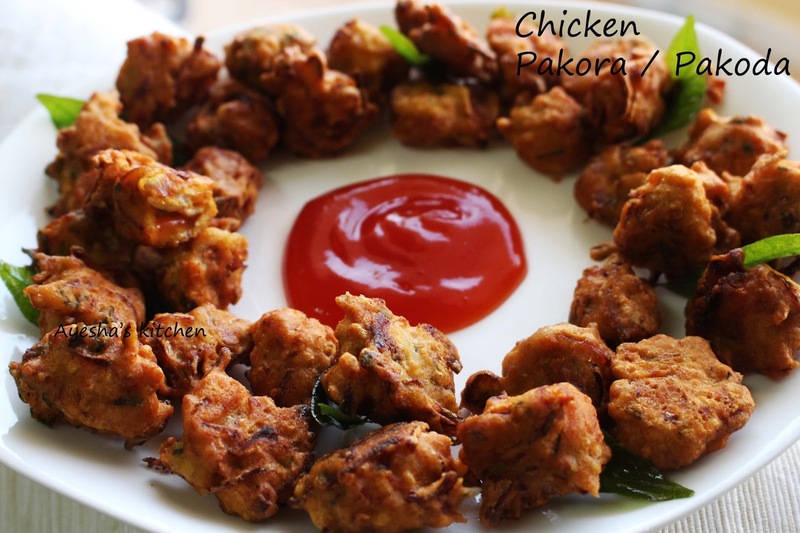 Spicy pakora with chicken flavor in each bites is a must try recipe for a lovely evening. A spicy crispy snack along with evening hot tea is always a delightful feel. 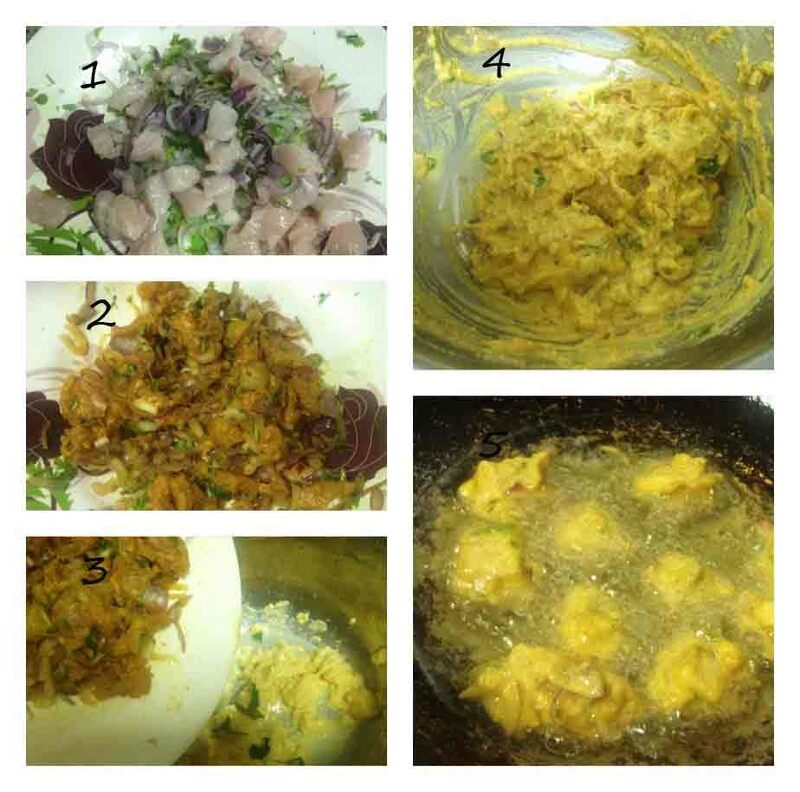 In Malabar region (Kerala), these Pakoras are inevitable part of Ifthar dish. Hope this recipe will be a great share and do try. So here is the recipe showing how to making chicken pakora / pakoda. Cut the boneless chicken into small chunks. In a bowl add finely chopped onion, ginger garlic crushed, green chilies chopped, chopped coriander leaves, chopped curry leaves and quarter tsp of salt. Crush it well with hand. Now add the chicken chunks to this and combine well. Then add chili powder and turmeric powder. Combine well. Let it stay in freezer for 10 minutes. Meanwhile combine gram flour, rice flour in a bowl along with 1 tbsp of water . Make a thick paste. Add a pinch of salt if required. Now add the chicken - onion mixture to this gram flour paste. Mix very well. Heat oil in a wok and drizzle the batter with hand or can drop it using a small spoon. Deep fry in a medium flame until golden and crispy.